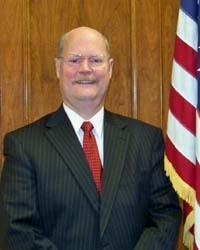 Jeff Krabill was first elected to the Board in 1999 and has served ever since with the exception of a 2 ½ year absence. A graduate of The College of Wooster, Krabill also has two masters degrees from The Ohio State University and owns/operates The Krabill Marketing Group in Sandusky. He and his wife Lauralee have two grown children, both of whom are graduates of Sandusky High School.